Considering just North America, and the United States in particular, fundamental contributions to poetics were made by a number of modernists, including Ezra Pound, Wallace Stevens, T. S. Eliot, William Carlos Williams, and Gertrude Stein, whose “Composition as Explanation” is a foundational work of modernist poetics. Somewhat later, consider also Laura (Riding) Jackson’s Anarchism Is Not Enough and The Telling; Louis Zukofksy’s Prepositions, and the essays of Langston Hughes and Mina Loy. The context for this work is provided by two very useful collections, not of poetics, but of artists’ writings and manifestos, Art in Theory, edited by Charles Harrison and Paul Wood, and Manifesto: A Century of Isms, edited by Mary Ann Caws. Melissa Kwasny’s new anthology Toward the Open Field: Poets on the Art of Poetry, 1800-1950 also provides many key texts. 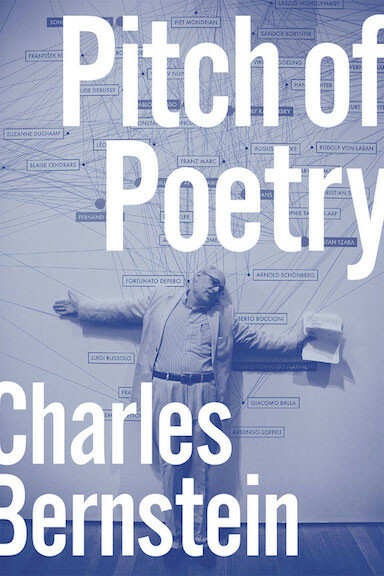 During the years following the second world war, there was a great outpouring of poetics by American poets, including Charles Olson’s “Projective Verse” and “Proprioception,” Frank O’Hara’s “Personism: A Manifesto,” Adrienne Rich’s On Lies, Secrets, and Silence, and Robert Creeley’s A Quick Graph. Much of the spirit of the time is captured in The Poetics of the New American Poetry, edited by Don Allen and Warren Tallman, which should be read alongside full collections of essays by Olson, Rich, and Creeley, Jack Spicer, Larry Eigner, Barbara Guest, Robert Duncan, Allen Ginsberg, Robin Blaser, and Jerome Rothenberg. 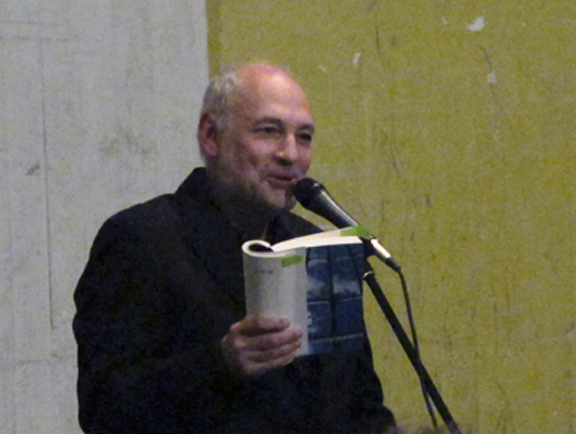 Meanwhile, David Antin invented a new form of talking poetics – a mixed genre involving improvisation, philosophy, and autobiography, that he both performs live and subsequently transforms into work that extends the possibilities of both the essay and the poem. The proliferation of politically engaged, socially informed, and aesthetically radical poetics in the period from 1975 to the present is charted by several anthologies, edited by Christopher Beach, Mark Wallace and Stephen Marks, Claudia Rankine and Juliana Spahr, and Peter Baker, in addition to Bruce Andrews and my The L=A=N=G=U=A=G=E Book. Collections edited by James McCorkle, Molly McQuade, and Donald Hall provide other overviews of the poetics of the period, while Susan Bee and Mira Schor offer a highly relevant collection of writings by visual artists. This period since 1975 has been marked by a profound shift from the dominance of male writers of poetics; by the turn of the twenty-first century, poetics was no longer a boy’s club. A feminist approach to poetics is charted not only by Adrienne Rich, but also by Kathleen Fraser, Rachel Blau DuPlessis, and Nicole Brossard. The provocative and transformative poetics of Amiri Baraka have yet to be collected in a book, but both Nathaniel Mackey and Lorenzo Thomas have published groundbreaking collections of essays on African-American poetics and Erica Hunt’s “"Notes for an Oppositional Poetics" in The Politics of Poetic Form offers a crucial intervention into the dialog. The connection between politics and form is at the heart of Bruce Andews’s formally uncompromising essays, just as it informs Ron Silliman’s The New Sentence. Hank Lazer undertakes the task of negotiating between the many audiences, and ideologies for poetry, while Leslie Scalapino pushes to eras the difference between her poetry and poetics, while articulating a distinct need for each. Probably the most philosophical and theoretically sophisticated approach to poetics is represented by Steve McCaffery’s two, often mind-bogglingly comic, essay collection. Christian Bök picks up on McCaffery’s “pataphysics” (Alfred Jarry’s science of imaginary answers to imaginary questions), with a tour-de-force work of poetics written with a number of severe constraints, including using the same number of words and sentences in each chapter; while Joan Retallack, taking up themes of John Cage, has made an eloquent case for “poethics.” Related to poethics is ecopoetics – the way in which poetry reflects and refracts the environment which is its habitat, the focus of essays by Jed Rasula and the magazine, Ecopoetics, edited by Jonathan Skinner. Pierre Joris orients his poetics to wandering, to the nomad inside our poetic selves; Nick Piombiono’s poetics are both psychoanalytic and aphoristic; and Alan Davies is enigmatic in the pursuit of nothing less than the imaginary of everyday life. In his essays, Bob Perelman has interrogated many of the assumption governing the poetics of the period, while Ben Friedlander has invented a new mode of doing poetics by transforming essays by Poe and others into contemporary commentaries. Johanna Drucker has explored, with wit and philosophical rigor, the visual dimensions of poetry and the book. Susan Stewart’s study Poetry and the Fate of the Senses is an impassioned plea for the value of poetry in the fullness of its sentiences. Lyn Hejinian is perhaps best known for her essay against closure, but her poetics provides wide-ranging accounts of the relation of poetry to consciousness, narrative, travel, and, knowledge. Meanwhile, Susan Howe has undertaken the monumental work of undermining monumental histories, speaking of and for the cracks between victories in a style that merges historical scholarship and song. Over the past ten years, the Internet has become as homing ground both for poetry and poetics. The best gateway to innovative poetry and poetics on the web is the Electronic Poetry Center (epc.buffalo.edu), while the gateway for sound recordings of poets on the web is PennSound (writing.upenn.edu/pennsound). To experience poetics in the making, there is no better place to start than Ron Silliman’s blog, which is updated daily; while Joel Kuszai’s collection Poetics@ is a carefully shaped selection from a web poetics forum, that keeps the dialog at the center of the action. The importance of the web for poetry and poetics is explored in Jerome McGann’s Radiant Textuality and Loss Pequeño Glazier’s Digital Poetics. Recent critical accounts of twentieth century poetics worth noting here include those by Peter Quartermain, Michael Davidson, Charles Altieri, Maria Damon, Craig Dworken, Charles Altieri, Gerald Bruns, Susan Vanderborg, Hank Lazer, Christopher Beach, Barrett Watten, Juliana Spahr, Michael Magee, Stephen Fredman, Aldon Nielsen, James Longenbach, and, above all, Marjorie Perloff, whose many illuminating books have championed poets and poetics. [i] Dickinson’s textual fragments are sometimes typed as letters, but Marta Werner, in her two editions, casts Dickinson as the progenitor of contemporary poetics. Susan Howe’s My Emily Dickinson is the key text for reading Dickinson within the context of poetics. [ii] For further information on international poetics, see a special issue of boundary 2 that I edited, entitled 99 Poets/1999: An International Poetics Symposium. Ernesto Grosman was instrumental in my suggestions here regarding Latin American poetics. Allen, Donald and Warren Tallman. Poetics of the New American Poetry. New York: Grove P, 1973. Altieri, Charles. Postmodernisms Now: Essays on Contemporaneity in the Arts. University Park: Pennsylvania State UP. 1998. Andrews, Bruce and Charles Bernstein, eds. The L=A=N=G=U=A=G=E Book. Carbondale: Southern Illinois UP, 1984. Antin, David. A Conversation with Charles Bernstein. New York: Granary Books, 2002. ________. What It Means to Be Avant-Garde. New York: New Directions. 1993. Beach, Christopher, ed. Artifice & Indeterminacy: An Anthology of New Poetics. Tuscaloosa: U of Alabama P, 1998. Bee, Susan and Mira Schor, eds. M/E/A/N/I/N/G: An Anthology of Artists' Writings, Theory, and Criticism. Durham, N.C.: Duke UP, 2000. Bernstein, Charles, ed., Close Listening; Poetry and the Performed Word. New York: Oxford UP. 1998. __________, ed. 99 Poets/1999: An International Poetics Symposium. boundary 2 26:1 (1999). __________, ed., The Politics of Poetic Form: Poetry and Public Policy. New York: Roof, 1990. Bök, Christian. 'Pataphysics: The Poetics of an Imaginary Science. Evanston: Northwestern UP, 2002. Brossard, Nicole. Tr. Barbara Goddard. New York: Roof Books. 1990. Bruns, Gerald. The Material of Poetry: Sketches for a Philosophical Poetics. Athens: U of Georgia Press. 2005. Burke, Kenneth. “Literature as Equipment for Living.” The Philosophy of Literary Form. Berkeley: U of California P, 1973. ________. A Rhetoric of Motives. New York: Prentice-Hall, 1950. C. Wright Mills, "Mass Society and Liberal Education.” Power, Politics and People. New York: Oxford UP, 1963. p. 368. Cavell, Stanley. Conditions Handsome and Unhandsome: The Constitution of Emersonian Perfectionism. Chicago: U of Chicago P, 1990. ___________. Senses of Walden. Chicago: U of Chicago P. 1992. ____________. This New Yet Unapproachable America: Essays after Emerson after Wittgenstein. Albuquerque: Living Batch Books. 1988. Caws, Mary Ann, ed. Manifesto: A Century of Isms. Lincoln, U of Nebraska P, 2001. Creeley, Robert. Collected Essays. Berkeley: U of California P, 1989. Damon, Maria. The Dark End of the Street:Margins in American Vanguard Poetry. Minneapolis: U of Minnesota P. 1993. Davidson, Michael. Ghostlier Demarcations: Modern Poetry and the Material Word. Berkeley: U of California P. 1997.__________. Guys Like Us: Citing Masculinity in Cold War Poetics. Berkeley: U of California P. 2003. Davis, Alan. Signage. New York: Roof Books. 1987. ________. Emily Dickinson's Open Folios : Scenes of Reading, Surfaces of Writing. Ann Arbor: U of Michigan P. 1995. Drucker, Johanna. Figuring the Word: Essays on Books, Writing, and Visual Poetics. New York: Granary Books. 1998. Duncan, Robert. Fictive Certainties. New York: New Directions. 1985. DuPlessis, Rachel. The Pink Guitar: Writing as Feminist Practice. New York: Routledge, 1990. Dworkin, Craig. Reading the Illegible. Evanston: Northwestern UP. 2003. Eigner, Larry. Ben Friedlander, ed. Areas Lights Heights:Writings 1954-1989. New York: Roof. 1990. Emerson, Ralph Waldo. Essays: Second Series. Boston: Phillips, Sampson, & Co., 1858.Emerson, Ralph Waldo. Nature; Addresses, and Lectures. Boston: J. Munroe, 1849. Forrest-Thomson, Veronica. Poetic Artifice: A Theory of Twentieth-Century Poetry. Manchester [Eng. ]: Manchester University P, 1978. Fraser, Kathleen. Translating the Unspeakable: Poetry and the Innovative Necessity: Essays. Tuscaloosa: U of Alabama, 2000. Fredman, Stephen. The Grounding of American Poetry: Charles Olson and the Emersonian Tradition. New York: Cambridge UP, 1993. Friedlander, Ben. Simulcast: Four Experiments in Criticism. Tuscaloosa: U of Alabama P, 2004. Ginsberg, Allen, Deliberate Prose: Selected Essays 1952-1995. New York: HarperCollins. 2000. Glazier, Loss. Digital Poetics. Tuscaloosa: U of Alabama P, 2001. Guest, Barbara. Forces of Imagination: Writings on Writings. Berkeley: Kelsey Street, 2003. Hall, Donald, ed. Claims for Poetry. Ann Arbor: U of Michigan P. 1983. ________. Donald Hall, Goatfoot Milktongue Twinbird: Interviews, Essays, and Notes on Poetry, 1970-76. Ann Arbor: U of Michigan P. 1978. Harrison, Charles and Paul Wood. Art in Theory, 1900-2000: An Anthology of Changing Ideas. Maiden, Mass. : Blackwell, 2003. Hejinian, Lyn. The Language of Inquiry. U of California P. 2000. Howe, Susan. The Birth-Mark: Unsettling the Wilderness in American Literary History. Middletown, CT: Wesleyan UP. 1993. ________. My Emily Dickinson. Berkeley: North Atlantic Books. 1988. ________. Peirce-Arrow. New York: New Directions. 1999. Hurlbert, Mark, et al. Beyond English, Inc. Portsmith, NH: Boynton/Cook Heinemann, 2002. Joris, Pierre. A Nomad Poetics. Middletown, CT.: Wesleyan University P, 2003. Kwasny, Melissa, ed. Toward the Open Field: Poets on the Art of Poetry, 1800-1950. Middletown. CT.: Wesleyan University P, 2004. Kuszai, Joel, ed. Poetics@. New York: Roof Books, 1999. Lakoff, George. Moral Politics: How Liberals and Conservative Think. Chicago: U of Chicago P, 2002. Lazer, Hank. Opposing Poetics, vol. 1 and 2. Evanston: Northwestern UP, 1996. Mackey, Nathaniel. Discrepant Engagements: Dissonance, Cross-culturality, and Experimental Writing. New York: Cambridge UP, 1993. __________Prior to Meaning: The Protosemantic and Poetics. Evanston: Northwestern UP, 2001. McCorkle James. Conversant Essays: Contemporary Poets on Poetry. Detroit : Wayne State University. 1990. McGann, Jerome. Poetics of Sensibility: A Revolution in Literary Style. Oxford: Oxford UP. 1996. _______. Radiant Textuality: Literature after the World Wide Web. New York: Palgrave. 2001. McGann, Jerome and Lisa Samuels. “Deformance and Interpretation.” http://www.iath.virginia.edu/~jjm2f/deform.html. Accessed 10/11/04. McGee, Michael. Emancipating Pragmatism: Emerson, Jazz, and Experimental Writing. Tuscaloosa: U of Alabama P., 2004. McQuade, Molly, ed. By Herself: Women Reclaim Poetry. St. Paul: Graywolf P. 2000. _______. Black Chant : Languages of African-American Postmodernism. New York: Cambridge UP. 1997. Olson, Charles, ed. Donald Allen and Ben Friedlander. Collected Prose. Los Angeles: U of California P. 1997. Perelman, Bob. The Marginalization of Poetry: Language Writing and Literary History. Princeton: Princeton UP, 1996. ________. The Poetics of Indeterminacy: Rimbaud to Cage. Princeton. Evanston: Northwestern U P, 1999. ________. Wittgenstein's Ladder: Poetic Language and the Strangeness of the Ordinary. Chicago: U of Chicago P, 1999. Piombino, Nick. Boundary of Blur. New York: Roof Books. 1993. ________. Theoretical Objects. Los Angeles: Green Integer. 1999. Quartermain, Peter. Disjunctive Poetics: From Gertrude Stein and Louis Zukofsky to Susan Howe. New York: Cambridge UP, 1992. Rankine, Claudia, and Juliana Spahr, eds. American Women Poets in the 21st Century: Where Lyric Meets Language. Middletown, CT: Wesleyan University P, 2002. Rasula, Jed. This Compost: Ecological Imperatives in American Poetry. Athens: U of Georgia P, 2002. Retallack, Joan. Poethical Wager. Berkeley: U of California P, 2004. Rich, Adrienne. Arts of the Possible: Essays and Conversations. New York: W.W. Norton, 2002. _________. On Lies, Secrets, and Silence: Selected Prose 1966-1978. New York: W.W. Norton, 1979. Rothenberg, Jerome. Pre-Faces & Other Writings. New York: New Directions, 1981. Scalapino, Leslie. How Phenomena Appear to Unfold. Elmwood, Conn.: Potes & Poets, 1989. _________. The Public World / Syntictically Impermanence. Middletown, CT: Wesleyan UP. 1999. Silliman, Ron. The New Sentence. New York: Roof Books. 1987. _________. Silliman’s Blog. http://ronsilliman.blogspot.com. Accessed 10/11/04. Spicer, Jack. Peter Gizzi, ed. The House That Jack Built; The Collected Lectures of Jack Spicer. Middletown: Wesleyan UP, 1998. Stewart, Susan. Poetry and the Fate of the Senses. Chicago: U of Chicago P, 2001. Tedlock, Dennis. Breath on the Mirror: Mythic Voices & Visions of the Living Maya. San Francisco: HarperSanFrancisco, 1993. Thomas, Lorenzo. Extraordinary Measures: Afrocentric Modernism and 20th-Century American Poetry. Tuscaloosa: University of Alabama P, 2000. Vanderborg, Susan. Paratextual Communities: American Avant-Garde Poetry Since 1950. Carbondale: Southern Illinois UP. 2001. Wallace, Mark and Steven Marks, eds. Telling It Slant: Avant-Garde Poetics of the 1990s. Tuscaloosa: University of Alabama P, 2002. Watten, Barrett. The Constructivist Moment: From Material Text to Cultural Poetics. Middletown, CT: Wesleyan UP. 2003. Williams, William Carlos. The Embodiment of Knowledge. New York: New Directions, 1974. Wittgenstein, Ludwig. Lectures & Conversations on Aesthetics, Psychology, and Religious Belief. Berkeley: University of California P, 1972.